You might think that just because the holiday season is over that the time of getting free stuff is gone. Not so! 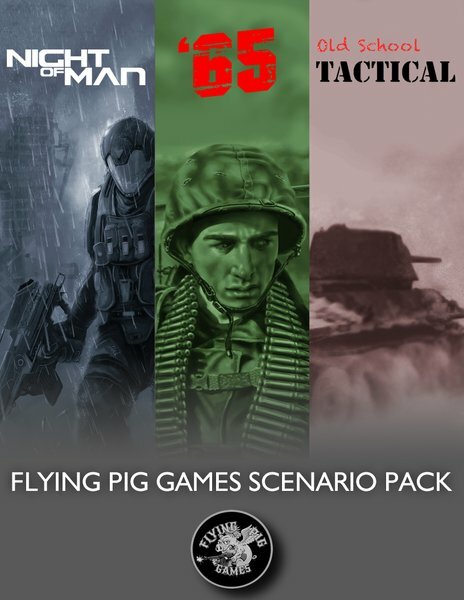 Flying Pig Games is still caught up in the "giving is better than receiving" spirit and has released a free scenario pack over in their webshop. This is our way to thank you for your support. In the following pages you’ll find three scenarios (at least that is what we are starting out with). I designed a pair for Night of Man and ’65 Squad-levelBattles in the Jungles of Vietnam, and Shayne designed one for Old SchoolTactical Vol II. We might add more later, and you’ll be notified. That’s the beauty of Wargame Vault.